Even God cannot save you if you are a curious sort, interested in politics and given to gossip. Add to the mix, a tech-savvy nature and a mischievous mind and you are more than likely to land behind bars in present-day Tamil Nadu. In the last three weeks, seven people have been arrested and thrown into jail, most of them on charges of ``spreading rumours'' about Tamil Nadu chief minister Jayalalithaa. Cases have been booked against more than 40 people. Most of them on charges of spreading canards about the health status of the CM, by uploading fake videos and audio chats on different social media platforms including Facebook, Youtube, Whatsapp and Twitter. But the latest arrests in Coimbatore has taken things a bit too far. On October 13, cops in this city in western Tamil Nadu arrested a bank clerk and a jewellery appraiser for allegedly speaking about Jayalalithaa's health condition in ``a mocking manner''. The complaint was lodged by an AIADMK party member Punitha Devi who claimed that on 7 October, she overheard L Ramesh, the bank clerk and R Suresh, the appraiser making adverse comments about the CM's condition. 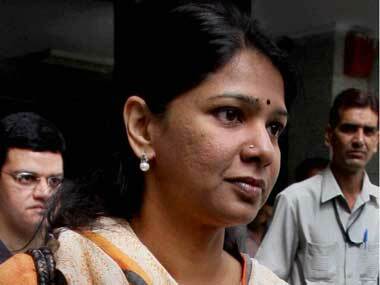 Devi alleges that when she objected to the conversation, the two persons threatened her. Newspaper reports suggest that CCTV images at the bank have no evidence of any heated exchange of words between Punitha Devi and the two accused. It is bizarre that two people have been thrown into jail, going merely by an allegation made by, in this case, someone who could well be looking to score brownie points within her party structure. While the police is entitled to throw the rulebook at anyone who indulges in rumour mongering that leads to a breakdown in law and order, causes unrest or violence, this particular case does not do any of the above. So how does a conversation between two individuals become the basis to send them to judicial custody? It is also important to consider the circumstances. Since Monday, there has been no medical bulletin issued by Apollo Hospitals, leading to much speculation about the CM's health condition. Access is denied even to senior ministers of the AIADMK government. None of the political VIPs like Rahul Gandhi, Amit Shah or Arun Jaitley who visited Apollo Hospital, got to see Jayalalithaa. When a PIL was filed in the Madras High court seeking details of the CM's health, it was dismissed as a `Publicity Interest Litigation'. It is but natural that in the absence of trustworthy information, rumours will take over. While any individual is entitled to his or her privacy, Jayalalithaa's case is a bit different. 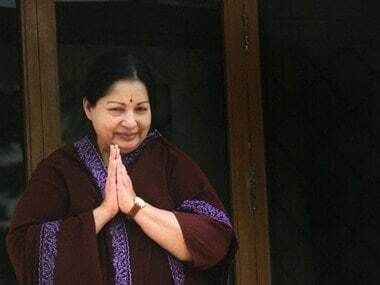 She is the chief minister and therefore the people of Tamil Nadu have a right to know the state of her health. It is because of this opacity in releasing credible information that anxious AIADMK cadre have attempted self-immolation, leading to the death of one activist in Chennai. Another party member committed suicide in Vadugapatti. The fact that Apollo Hospitals also moved from a narrative of "fever and dehydration'' to "respiratory support'' has not inspired confidence. People suspect the entire truth is not being said. Local Tamil Nadu politicians like Thirumavalavan of VCK who came visiting two weeks ago said the CM will be discharged in 2-3 days. The fact that it has not happened means people do not believe the story being spun out of Apollo Hospitals. Which begs the question : Who is to decide what is the truth and what is not? This arbitrary and high-handed manner of interpreting the law does not make Tamil Nadu police look too good. 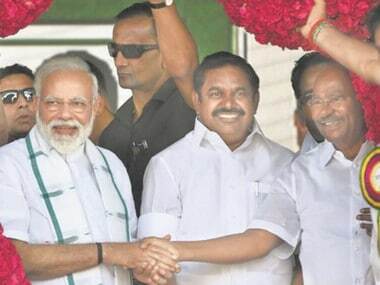 The problem with Tamil Nadu is that the AIADMK regime has always operated behind an iron curtain and ruled with an iron hand. After all, folk singer Kovan was slapped with sedition charge, no less, for criticising the government's prohibition policy in his songs last year. 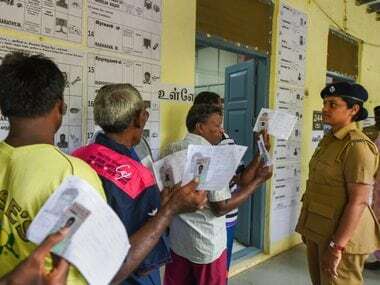 The police dumped three social activists in Chennai central prison for pulling down AIADMK hoardings that had taken over every single pavement in Chennai during their meeting in December 2015. But instead of taking action against party cadre who assaulted the activists, the three citizens were given the treatment. The media also has been muzzled with over 200 defamation cases filed since 2011, making every journalist extremely circumspect and scared while reporting. Journalism has become a casualty, in the process. The AIADMK IT wing is on overdrive monitoring different social media for anyone posting anything negative about its leader and complains to the police who are ready to carry out its bidding. 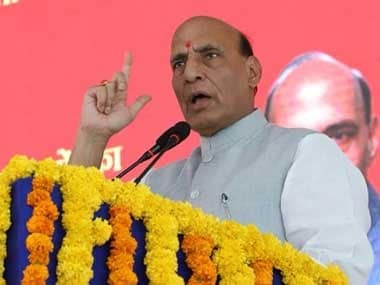 Two weeks back, Rajya Sabha MP Subramanian Swamy wrote to the Union Home minister Rajnath Singh, urging him to impose President's rule in Tamil Nadu for six months, citing law and order issues. While the reasons he mentioned were a bit over the top, the fact remains this kind of a merciless crackdown on common people of Tamil Nadu will only alienate the government from the people. It is time fear stopped being a constant in Tamil Nadu.